또한 휴대폰, 랩톱 또는 MP3 플레이어 중 두 개에서 동시에 음악을 감상하는 게 쉬워졌습니다. 이 어댑터는 하나의 헤드폰 잭을 간단하게 두 개의 잭으로 바꾸어 줍니다. 그리고 다중 신호 차폐, 고순도 자재, 정밀한 제작 기술로 인해 사운드가 탁월합니다. It can be so easy to enjoy music from mobile phone, Laptop, or MP3 Player in two at the same time. This adapter simply turns one headphone jack into two jacks. And due to multiple signal shielding, pure materials, and precise workmanship it even sounds excellent. 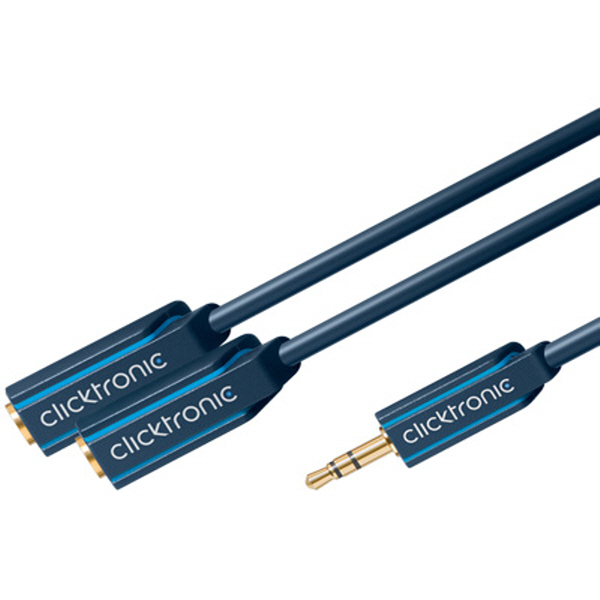 클릭트로닉에 대한 상세 제품정보 및 카탈로그는 www.clicktronic.co.kr 을 참조하세요.